Bobbi has sized up all her glosses to give you an extra dose of shine. Shimmer Lip Gloss offers beautiful, non-sticky shine with a touch of iridescence and is perfect on its own or over your favorite lipstick. Formulated with Aloe Extract to soothe and soften lips; Vitamins C and E for anti-oxidant protection; and Jojoba and Avocado Oils to moisturize lips. 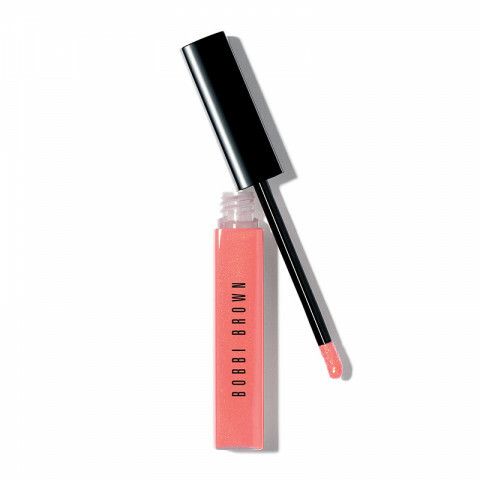 I have this shimmer gloss in the shade Citrus. It is such a nice gloss! It has a great shimmer but its not gritty at all. I love pairing this with the Crushed lipstick in Sunset, it adds just a little bit of something extra. I also like wearing it alone as it makes my lips look nourished and glossy. I mainly use this lip gloss to add sparkle and shimmer on top of my regular lipsticks. these are great lip glosses to wear on their own or layered over a lipstick for a pop of shimmer and shine. great lasting power and gorgeous shimmery shades. i love these lipgloss from bobbi brown. beautiful shimmery color that can be worn day or night. not sticky and has good staying power.